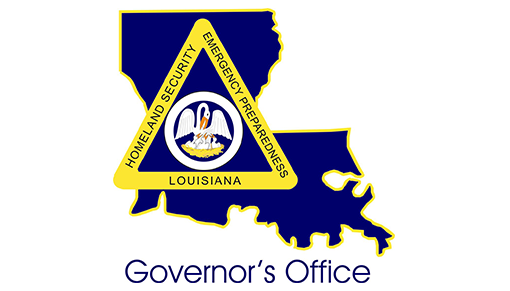 The mission of the Governor’s Office of Homeland Security and Emergency Preparedness (GOHSEP) is to lead and support Louisiana and its citizens in the preparation for, response to and recovery from all emergencies and disasters. The Office is in charge of all recovery and mitigation operations. This can include issuing public assistance reimbursement programs that prevent damage and loss of life in future disasters; coordinating the State’s response to any type of natural or man-made emergency; and implementing education, training and awareness programs. Louisiana is divided into nine emergency management and homeland security planning districts. Each district has a State Regional Coordinator (a GOHSEP employee) who acts as a liaison between the parish emergency operations center (EOC) for their region and the state EOC. In Louisiana, each parish has a Regional Homeland Security and Emergency Preparedness Director, who is chosen by his peers within that GOHSEP region to represent those parishes in all Homeland Security and Emergency Preparedness issues. GOHSEP carries out several mitigation efforts. The Hazard Mitigation Grant Program (HMGP) administered by the Federal Emergency Management Agency (FEMA) provides grants to States, who then distribute funds to eligible applicants to implement long-term hazard mitigation measures after a major disaster declaration. This funding is only available to applicants that reside within a presidentially declared disaster area. Eligible applicants include: state and local governments, Federally Recognized Tribal Nations, and certain non-profit organizations (private non-profits that perform a government function). Individual homeowners and businesses may not apply directly to the program; however, a community may apply on their behalf. Furthermore, GOHSEP recently released Louisiana Earth, which is public software that will assist citizens in emergency planning by providing access to real-time mapping information and data during disaster events. This information may include the status of response and recovery efforts, power outages, and points of distribution, as well as locations of food stamp offices, unemployment claims offices, and disaster recovery centers. As part of GOHSEP’s “Get a Game Plan” campaign, Louisiana Earth will assist with creating evacuation plans by providing access to evacuation routes and sheltering points as well as other information essential during evacuations. A key part of this effort will be working directly with the Business Emergency Operations Center (BEOC) at Louisiana State University and industry partners. In disaster recovery, GOHSEP is in charge of the administration of the Public Assistance Grant Program (PA). This Program is sustained by FEMA funds and aims to provide assistance to State, tribal and local governments, and certain private nonprofit organizations so that communities can quickly respond to and recover from major disasters or emergencies. Through the PA, FEMA provides supplemental Federal disaster grant assistance for debris removal, emergency protective measures, and the repair, replacement, or restoration of disaster damaged publicly-owned facilities. The Program also encourages protection of damaged facilities from future events by providing assistance to implement hazard mitigation measures during the recovery process. Other disaster recovery programs are the Disaster Recovery Infrastructure Program, Disaster Recovery State-Implemented Program, and Tax Relief in Disaster Situations.